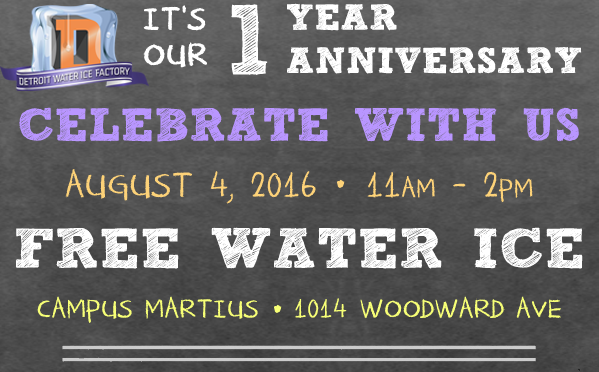 Detroit Water Ice Factory, the hottest destination for iconic dessert treats, celebrates its one-year anniversary on Thursday, August 4th. 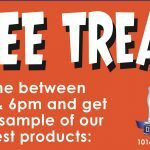 Free water ice will be given out between the hours of 11 AM and 2 PM (and scooped by Mitch Albom), to celebrate this milestone occasion, at the store’s flagship location, 1014 Woodward Avenue in downtown Detroit. The brainchild of author, columnist, and philanthropist Mitch Albom, the store follows the “Newman’s Own” model of philanthropy, offering a delicious, top-of-the-line food product, with the sole goal of raising funds to help others, through a charitable retail operation. 100% of the profits from Detroit Water Ice Factory will go to helping Detroit’s neediest citizens under S.A.Y. Detroit’s “umbrella”, an umbrella which serves newborns to senior citizens, our honored veterans in homeless shelters, a family health clinic, and placing deserving families in homes through its Working Homes/Working Families initiative. 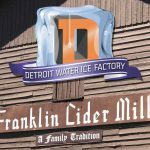 Detroit Water Ice Factory is a partnership between Albom’s S.A.Y. Detroit family of charities, a 100 percent dollar-in-dollar out philanthropic entity, the Detroit Rescue Mission, and Bedrock Real Estate Services. “The shop has been a terrific surprise, exceeding our wildest expectations. It proves that charity can be fun, cool and, at times, delicious. 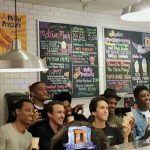 We love the attitude and vibe of Detroit Water Ice, our customers, the music, and the positive feelings in downtown Detroit, which we are trying through our charities to enhance even more.”, said Mitch Albom. Water Ice is related to, but not exactly like Italian Ice. It is a smooth, creamy-tasting, and delicious dessert product that is fat-free, gluten-free, cholesterol-free, and dairy-free! Bedrock Real Estate Services provides the premier location for the store rent-free, in a highly trafficked popular section of the Central Business District, next to the Campus Martius area.